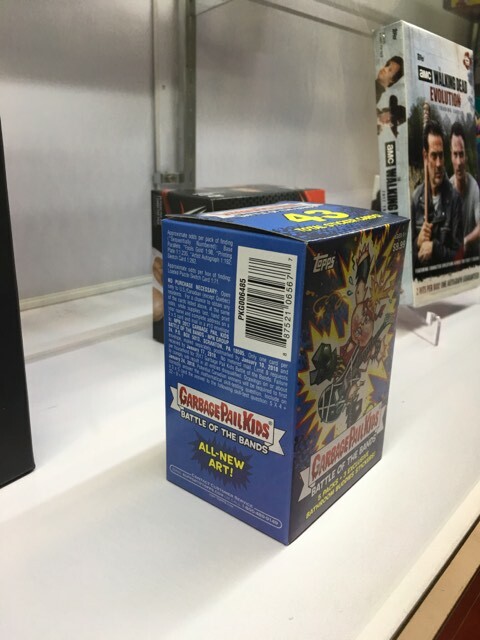 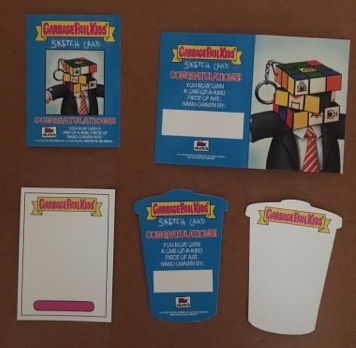 Topps has display boxes for the next retail GPK set on display at their booth during this weekend’s New York Comic Con. Thanks to collector, Ke We, for sending over pictures of the boxes. 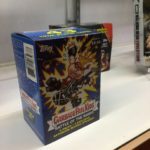 On display were a Collector box, Hobby/Retail box, and Blaster box. 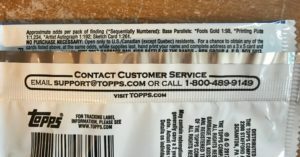 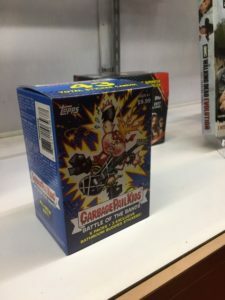 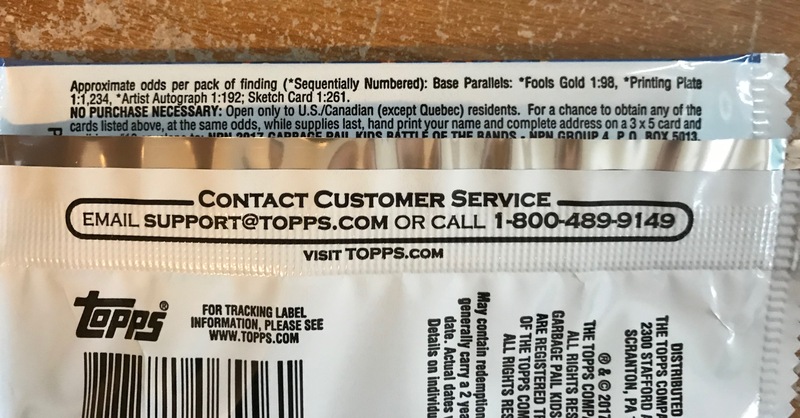 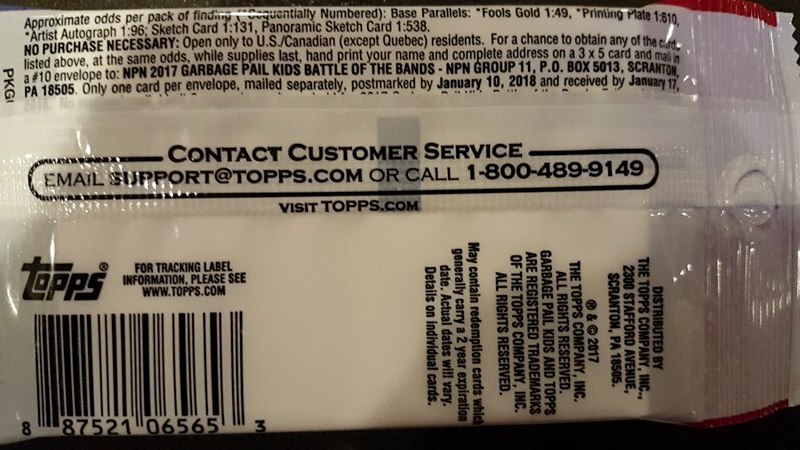 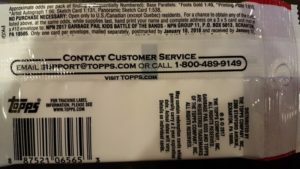 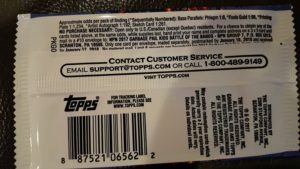 Keith was able to get a picture of the side of the Retail Blaster box, where the odds are printed. 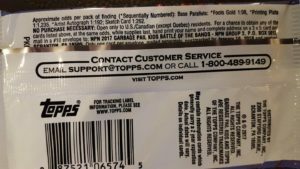 We can take an early look at the odds for Blaster packs, and how that compares to previous sets. 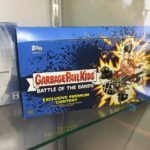 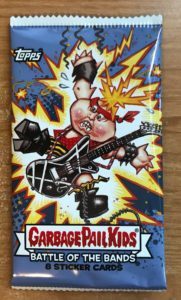 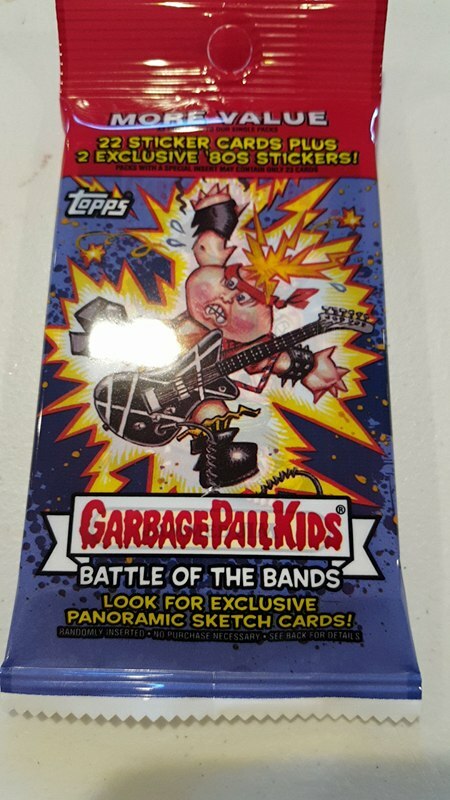 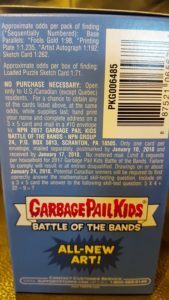 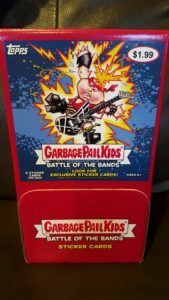 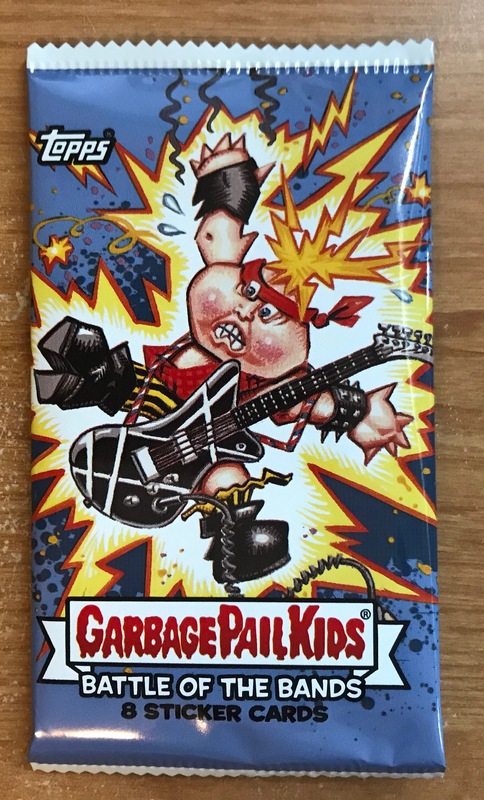 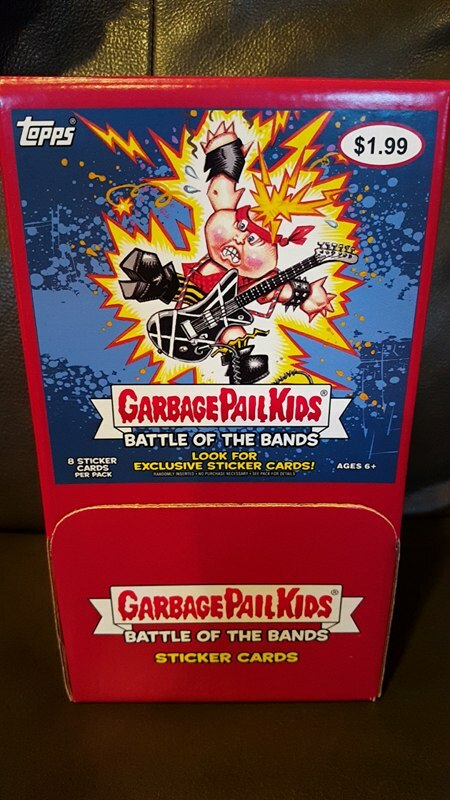 Early indications are that 2017 Garbage Pail Kids Series 2 Battle of the Bands is printed in much greater quantities than the previous set, GPK Adam-Geddon. 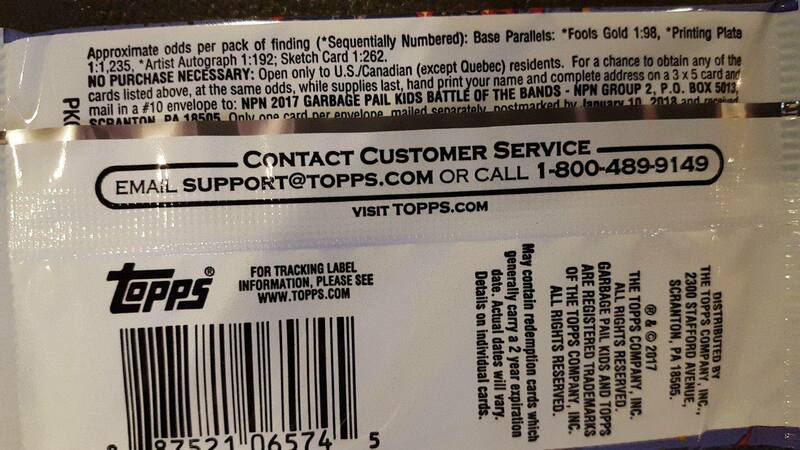 Fool’s Gold parallels are almost twice are tough to pull than before. 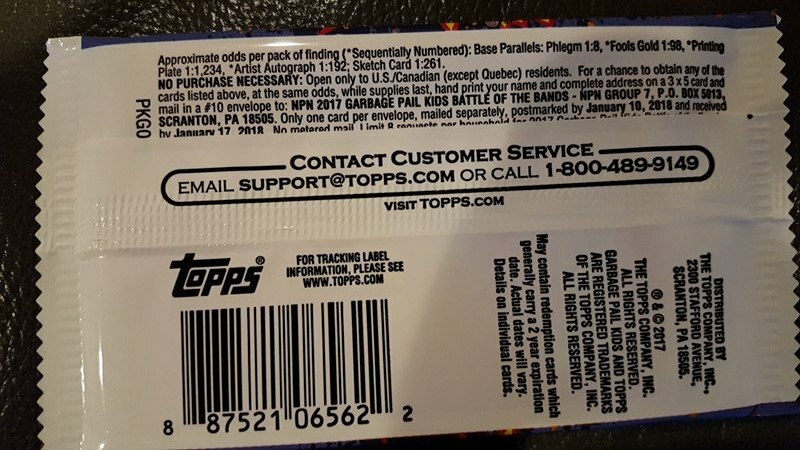 Printing Plates and Artist Autographs also have longer odds compared to the previous release. 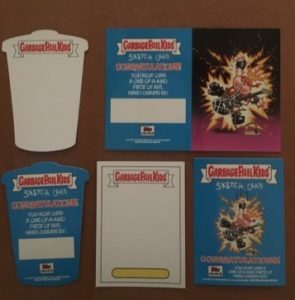 The good news is both sketch cards and Loaded sketches are slightly easier. 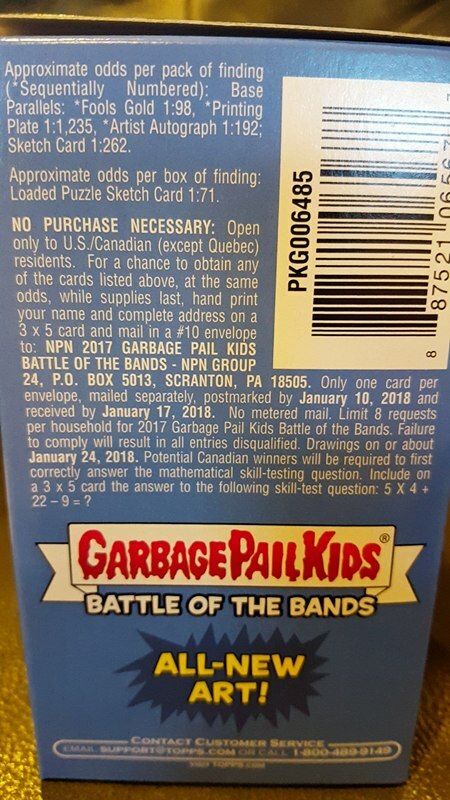 Without knowing how the odds look on the other pack types its not possible to tell at this point what qualities have been printed. 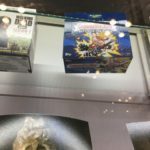 However, based on how previous sets have been printed it would appear production is up, quite a bit. 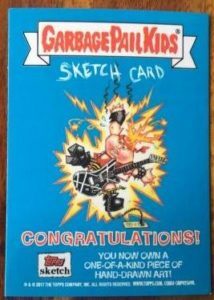 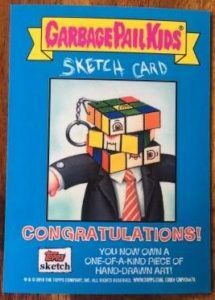 Easier sketch odds can be attributed to the large number of sketch artists for this set, while the long odds on other insert cards show production is up. 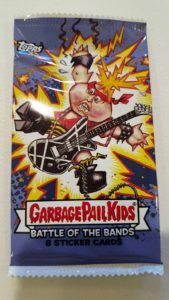 We will know for sure soon, as 2017S2 GPK Battle of the Bands is set to release in just under two weeks on Oct. 18th.